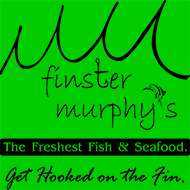 We carry a premium selection of fresh fish and seafood. Prepared for you daily, delicious gourmet items: seafood salad, conch salad, fresh salmon salad, along with crab cakes, freshly picked lobster meat, tuna burgers, salmon burgers & much more. We will happily grill, fry, blacken or sautee any of your favorites. A friendly and knowledgeable staff is waiting to assist you with your purchase and tips on cooking. Stop by & experience Ft. Lauderdale's one & only Irish Fish House where you'll find everything you need for a fabulous seafood dinner! Now celebrating our 7 year anniversary. Many gracious thanks to our wonderful and valued customers. Here is to much more!